Running is a huge part of my life that I don't talk about much on here, and I'm not entirely sure why. Maybe it's because I've never considered myself athletic or competitive. Maybe it's because I don't want to come off as pretentious. Maybe it's because I never had anyone teach me to be a runner, and I don't feel qualified to talk about it. Maybe it's because I run in $25 shoes, old high school t shirts, and use wire headphones from who knows how long ago. I just started one day and haven't quit since. I'm certainly not a pro, but I do know how it feels to awkwardly pick up running, fall in love with it, and never look back. I ran intermittently throughout junior high and high school, but really picked up the habit shortly after I got married. I needed something that was all mine, and running was it. I started out slowly, taking plenty of walking breaks, going barely any distance at all. Over time, I'd go one more block, then one more mile, and it became so much more than exercise. 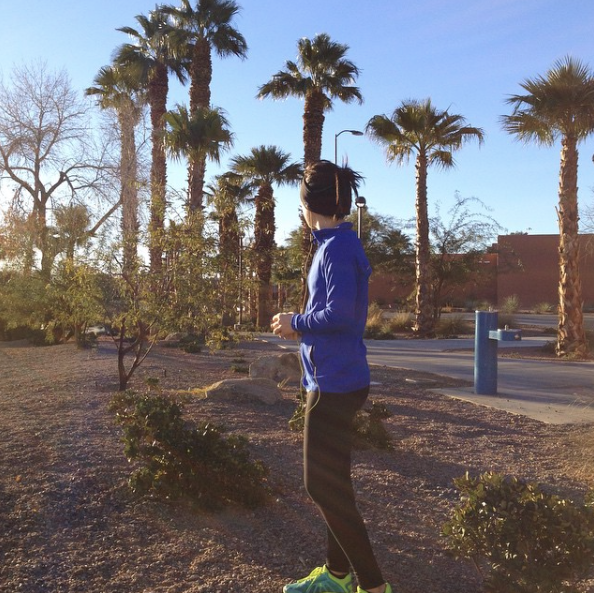 Running was my sanity, and I made sure to protect that therapeutic release every day. Over the seasons of life, it's taken on so many forms. I've run on crowded sidewalks, I've packed my shoes on every vacation, I've done track laps, I've pounded out countless miles on the treadmill, I've run with one baby and then two, I've walked when contractions got too strong, I've even run up and down the stairs out of desperation. 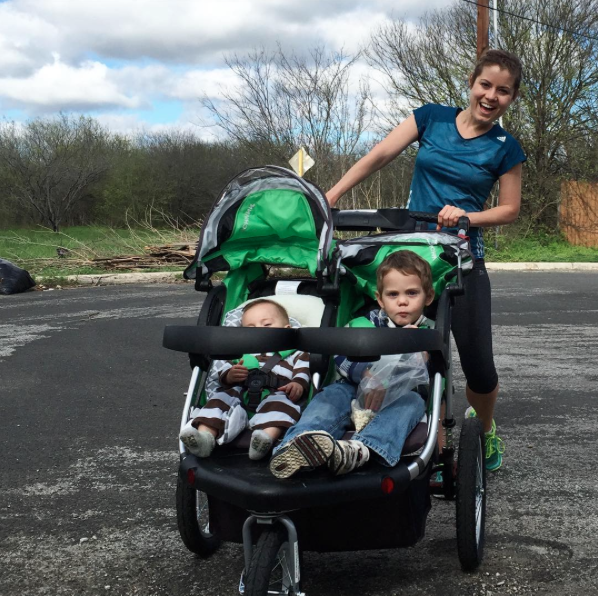 I've run while pregnant, nursing, and infertile. I've adjusted my pace and distance time and again. I've changed schedules over and over- sometimes early in the morning, sometimes during naptime, sometimes late at night after everyone is in bed. I've run a few races- mostly just to compete with myself or validate that I've gained something from all these miles. But more than anything, I run for me. I run so I can be a nice mom. 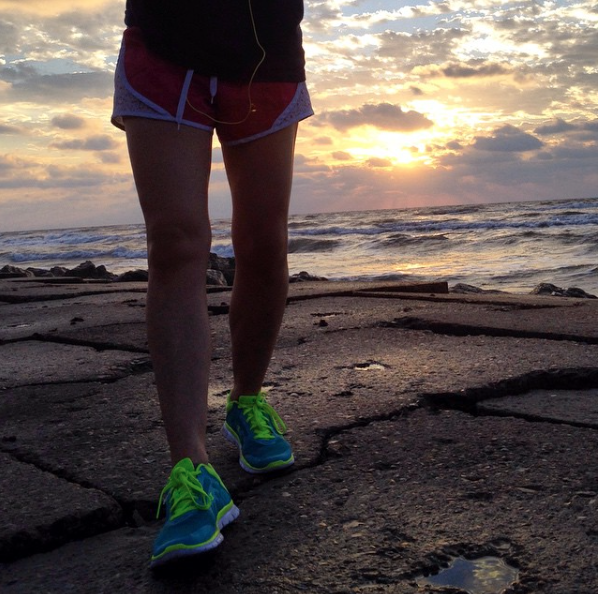 I run because it makes me feel alive. 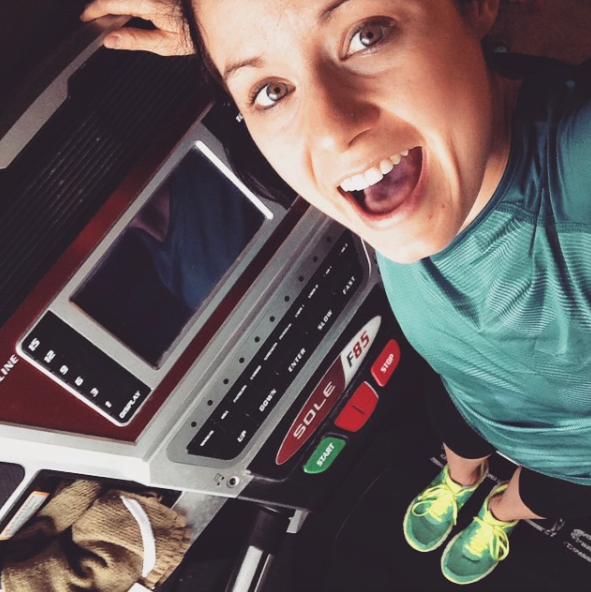 I run for Netflix on the treadmill. I run for my health. If you want to be a runner, be one. It doesn't matter how far you go, how often you go, how fast you are, or if you just started last week. Own it. You fit in. You're a runner. I want to post more often about this love of mine, and I want to know what you want to talk about! Tell me what you love and hate about running, tell me what you want me to dish on. Tell me what hangups you have, what scheduling struggles you face, and what would enable you. Let's run my friends!